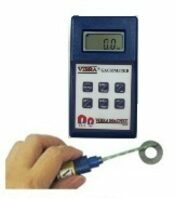 The handy Digital Gaussmeter / Telsameter is a new generation of the Gaussmeter. It can be used to measure DC/AC magnetic field strength of permanent magnet materials, motors, speakers, magnetic sensors/transducer and other machines and instruments with high resolution. Sematic Magnet provide the solution, consultation, service to modify magnet, repair magnet, calibrate magnet, measure magnet strength service comply to HACCP / GMP / ISO Standard. Unsure which type of magnet or magnetic separator is best for your application? Just send us a sample of your product with your brief description. Sematic Magnet Engineer will be happy to test it at our in-house laboratory. We will recommend you the best suitable magnetic separator for your particular application. 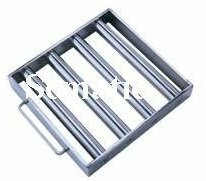 Sematic Magnet can custom design special magnetic separator best for your application. Sematic Magnet offers to calibrate, measuring & checking magnetic separator strength with written report & certification comply to HACCP / GMP / ISO Standard. Repair facility available at Sematic Magnet. 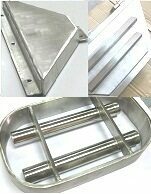 We repair all makes and type of Permanent Magnetic Separators. Sematic Magnet provides the solution, consultation, service to modify magnet, repair magnet, calibrate magnet, measure magnet strength service comply to HACCP / GMP / ISO Standard.